June 09, 2012 by Alphageek in "alphageek", "discovery"
A frequent visitor to the AGTF has been promising me a shot at some jalapeno jelly. Like many things in life, making the exchange happen has taken some time. The Retired Lawman upped the stakes with a gift of some pickles and canned green beans in addition to the jalapeno jelly.We are just going to jump right into this review. First, we will start off with the green beans. We pried the lid off, but we were not really sure what we would get. Amazingly enough we got, green beans. Okay, green beans may not seem like much, but these green beans simply capture that fresh taste that canning was invented for. Sure, you could go get frozen green beans at the local grocery store, but they will not taste as fresh as these did. The jalapeno jelly was the biggest surprise out of everything. I opened the bottle, took a taste, and expected to find a sticky sweet jelly. Instead, I was greeted with an excellent balance of sweetness and heat from the jalapenos. Did I say greeted? I should have said an explosion of flavor, the kind of flavor one could use as a sauce, right out of the jar. Finally (we are not talking about the other jelly quite yet), we have the pickles. While I say pickles, there is a lot more going on here than just some cucumbers. There are some red peppers as well as some onions added to the mix. The combination of flavors is something you cannot get out of just any jar of pickles at the store. For those of you that did not get to try these, the loss is yours. These pickles are accompanied by an amazing array of spices that make them a unique treat that did not last long, once opened. 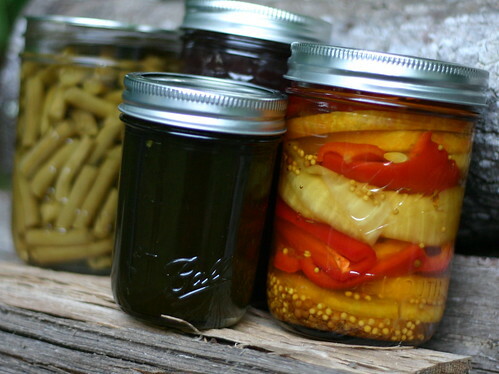 We close with a simple thanks, and the realization that we may have to give some pickling a try.